Hannah and Steve had narrowed down their venue search to just two venues when they reached out, and even though they hadn’t yet visited them both, I knew Thompson Island was the perfect fit for them. Elegant and classy but not too pretentious to be fun and quirky, Thompson Island was the right fit for their personality. I just had a gut feeling. 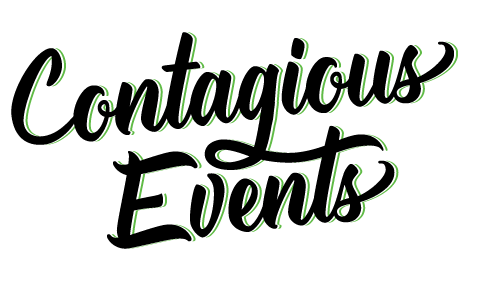 So it was no surprise when they emailed me a couple weeks later to let me know they’d selected their venue and were ready to start working with Contagious Events. Hannah and Steve were cool and collected throughout the wedding planning process, but their energy was always high and positive – even when they realized city hall had given them the wrong marriage license! I think that’s what I loved most about working with Hannah and Steve – even when something stressful or less than ideal happened, they found a way to smile about it and they had faith that it would all work out. And wow… did it ever work out. Just look at the amazing images captured by our friend, Danny Gorman. We love so many of their wedding day details: from the tuxedo dresses for the groomswomen to Steve rocking the pocket boutonniere designed by Flou(-e)r. Their energy was clearly contagious (ahem) – the dance floor was packed the entire evening, thanks in large part to DJ Petro. Watch the wedding video by Yuri Kriventsoff and you’ll witness first-hand just how epic Hannah and Steve’s wedding day was. We’re so lucky to have been a part of it.